To fully deliver on the benefits of IoT and tackle the challenges, techniques such as Design Thinking are critical for creating and de-risking innovative solutions. This session will explore how solutions can be created with IoT by looking at challenges from an end user’s perspective. By empathizing with end clients to identify their needs, values and goals you can get at both articulated and unarticulated needs. Than you can truly identify the problem your IoT solution will solve. When this is done before coming up with solutions, prototyping and testing there is a significantly higher rate of market success for your IoT innovations. This will be an interactive session where we will discuss and use design thinking methodologies to work through an IoT use case so you can practice Design Thinking to innovate IoT solutions. 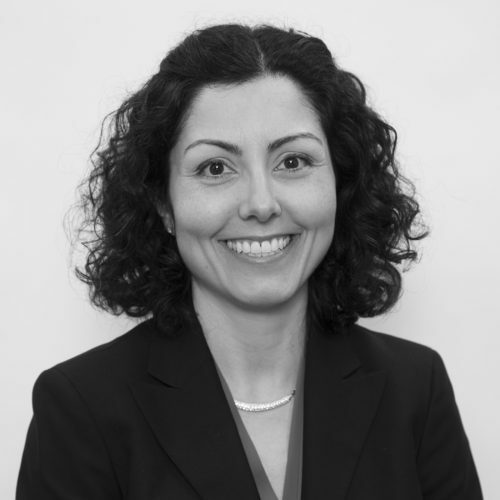 Award-winning, Spring2Innovation founder, Nilufer Erdebil is a leading innovation and design thinking consultant with a range of experience in telecommunications, application development, project management & information technology management. Her firm focuses on strategy and vision development, design thinking, innovation programs, and building innovation capabilities in organizations. She has been using design thinking methodologies since 2003 in both the private and public sector. Most recently, she has used design thinking techniques and tools for clients at Innovation Science and Economic Development (ISED), Public Services and Procurement Canada (PSPC), along with the Community of Federal Regulators (CFR) in the redesign of its web interface providing regulatory guidance to Canadians and Canadian businesses. Nilufer holds a B. Eng in Electrical Engineering and an MBA from Queen’s University. In 2016, she received the Canadian Women in Communications and Technology Leadership Award and in 2014, she was awarded the Ottawa Business Journal Forty Under 40 Award.